It's the number one killer of women: heart disease. 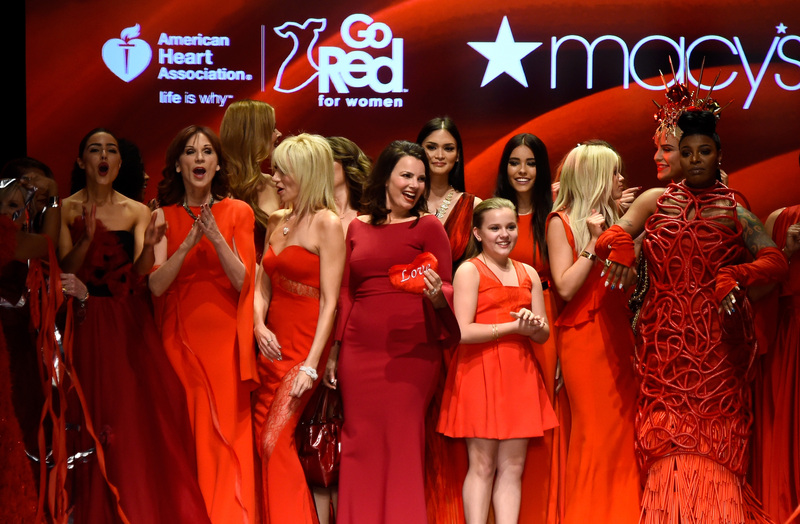 Friday is National Wear Red Day, a movement by American Heart Association to promote heart disease awareness for women. The campaign, started in 2003, takes place on the first Friday each February. Coinciding with the program, the American Heart Association and American Stroke Association released the first ever guidelines Thursday on women's unique stroke risks. One in five women has a stroke at some point in her life. Women face higher stroke risk than men, with more than half of the 795,000 strokes that occur each year affecting females. It's not only greater numbers for women — they also suffer more disabling attacks. Several factors heighten the chances for women, including birth control pills, smoking, and high blood pressure during pregnancy, according to the American Stroke Association. Cardiovascular disease, including heart disease and stroke, costs the United States $312.6 billion each year; but it's something that can be prevented with the right steps. Dr. Cheryll Bushnell, author of the new scientific statement published in the journal Stroke, says the guidelines are unique because of its emphasis on blood pressure control in really young women. Studies show an increase of the disease in earlier ages. It's women who are thinking about getting pregnant who may have high blood pressure even before they get pregnant, how to treat that…how to avoid risk of birth defects...It’s an emphasis on lifestyle, physical activity and diet…really emphasizing this at a younger age than what we often do. Migraines with auras, diabetes, emotional stress, and depression are among other stronger stroke risk factors in women. The guidelines also state that doctors should screen for high blood pressure before prescribing oral contraceptives. Tia Timsom, who shared her story with the association, suffered from a stroke while she was a college student after an undiscovered hole her heart caused a blood clot to form and travel up to her brain. The American Heart Association emphasizes that understanding the risks and preventative measures at an earlier age can increase heart health in the future.